This Privacy Statement sets forth the online data collection and usage policies and practices that apply to TriangleAptAssn.org and does not apply to information we collect in any other fashion. By using TriangleAptAssn.org, we may request that you provide personal information, including your name, mailing address, email address, telephone number and other generalized background information. Moreover, there is information about your computer hardware and software that is or may be collected by us. This information can include without limitation your IP address, browser type, domain names, access times and referring website addresses, but is not linked to your personal information. We also get information from your use of our services including how you use them. Regarding IP Address and Clickstream Data, our server TriangleAptAssn.org automatically collects data about your server's Internet address when you visit us. When you request pages from our web site, our servers may log your IP Address and sometimes your domain name. Your IP Address is used to help identify you and to gather demographic information about our customers as a whole, but does not include personally identifiable information. Our server may also record the referring page that linked you to us (e.g., another web site or a search engine); the portions of TriangleAptAssn.org you visited; any search terms you have entered on TriangleAptAssn.org, or a referral site; and other web usage activity and data logged by our web servers. We use the information we gather on TriangleAptAssn.org, whether personal, demographic, collective or technical, for the purpose of operating and improving TriangleAptAssn.org, fostering a positive user experience, and delivering the products and services that we offer. We may use your contact information in order to send you email or other communications regarding updates at the TriangleAptAssn.org. The nature and frequency of these messages will vary depending upon the information we have about you. We additionally may employ Internet tracking and analytic tools such as Google Analytics to better understand and deliver a user experience. We also use the information that we gather for internal system administration, to help diagnose problems with our server, and to administer our web site. Such information may also be used to gather demographic information, such as country of origin and Internet Service Provider. We may link this information with your Personal Information. We do not disclose your personal information to third parties, or your combined personal and demographic information or information about your use of TriangleAptAssn.org, except as follows; We disclose information to companies and individuals we employ to perform functions on our behalf, including hosting our Web servers, analyzing data, providing marketing assistance, and providing customer service. These companies and individuals may have access to your personal information as necessary to perform their functions, but they may not share that information with any other third party. We will share personal information with companies, organizations or individuals outside of TriangleAptAssn.org if we have a good-faith belief that access, use, preservation or disclosure of the information is reasonably necessary to (1) meet any applicable law, regulation, legal process or enforceable governmental request; (2) enforce applicable Terms of Service, including investigation of potential violations (3) detect, prevent, or otherwise address fraud, security or technical issues (4) Protect against harm to the rights, property or safety of TriangleAptAssn.org, our users or the public as required or permitted by law. TriangleAptAssn.org may contain electronic images known as Web beacons (sometimes called single-pixel gifs) that allow us to count users who have visited those pages. Web beacons are not used to access your personally identifiable information; they are a technique we use to compile aggregated statistics about our Web site usage. Web beacons collect only a limited set of information including a cookie number, time and date of a page view, and a description of the page on which the Web beacon resides. You may not decline web beacons, however, they can be rendered ineffective by declining all cookies or modifying your browser setting to notify you each time a cookie is tendered and permit you to accept or decline cookies on an individual basis. TriangleAptAssn.org may provide account holders limited access to or the ability to modify Your personal information. Whenever you use our services, we aim to provide you with access to your personal information. If that information is wrong, we strive to give you ways to update it quickly or to delete it – unless we have to keep that information for legitimate business or legal purposes. When updating your personal information, we may ask you to verify your identity before we can act on your request. We have implemented commercially reasonable technical and organizational measures designed to secure your personal information from accidental loss and from unauthorized access, use, alteration or disclosure. However, we cannot guarantee that unauthorized third parties will never be able to defeat those measures or use your personal information for improper purposes. We restrict access to personal information to TriangleAptAssn.org employees, contractors and agents who need to know that information in order to process it for us, and who are subject to strict contractual confidentiality obligations and may be disciplined or terminated if they fail to meet these obligations. TriangleAptAssn.org is not intended for children under 18 years of age. We do not knowingly collect personal information from children under 18. 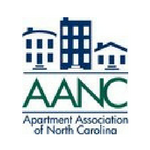 TriangleAptAssn.org operates under the control of Triangle Apartment Association, a North Carolina Company with its principal place of business at 7920 ACC Blvd., Suite 220, Raleigh, NC 27617. You must be 18 years of age or older, or the age of majority as that is defined in your jurisdiction, whichever is older, to visit or use TriangleAptAssn.org in any manner. By visiting TriangleAptAssn.org or accepting these Terms, You represent and warrant to TriangleAptAssn.org that You have reached the age of majority in your jurisdiction, and that You have the right, authority and capacity to agree to and abide by these Terms. You also represent and warrant to TriangleAptAssn.org that You will use TriangleAptAssn.org in a manner consistent with any and all applicable laws and regulations. TriangleAptAssn.org authorizes You to view and access a single copy of the content available on or from TriangleAptAssn.org solely for your personal use. The contents of TriangleAptAssn.org, and of all other Web sites under TriangleAptAssn.org's control, whether partial or otherwise such as text, graphics, images, logos, button icons, software and other TriangleAptAssn.org content (collectively, "TriangleAptAssn.org Content"), are protected under both United States and foreign copyright, trademark and other laws. All TriangleAptAssn.org Content is the property of Triangle Apartment Association or its content suppliers or clients. You further agree to in no other way misuse TriangleAptAssn.org Content that appears on this Site, other than those specifically permitted herein or by written agreement with TriangleAptAssn.org. Unless specifically permitted herein or in writing by TriangleAptAssn.org, the use of the TriangleAptAssn.org Content on any other Web site or in a networked computer environment for any purpose is prohibited. TriangleAptAssn.org and its licensors own all right, title and interest, including without limitation all worldwide intellectual property rights in the TriangleAptAssn.org Products and Services, and all such rights to all derivative works or enhancements of, in and to, or relating to, the TriangleAptAssn.org Products and Services. By entering into this Agreement or by using TriangleAptAssn.org, You will not acquire any intellectual property or similar rights in the TriangleAptAssn.org Products or Services other than a limited right to use the Products or Services for Your personal benefit. You may not use any TriangleAptAssn.org Site in order to transmit, post, distribute, store or destroy material, including without limitation, TriangleAptAssn.org Content, (a) in violation of any applicable law or regulation, (b) in a manner that will infringe the copyright, trademark, trade secret or other intellectual property rights of others or violate the privacy, publicity or other personal rights of others, or (c) that is defamatory, obscene, threatening, abusive or hateful. You agree that you will not use the TriangleAptAssn.org site in any manner that could damage, disable, overburden, or impair the TriangleAptAssn.org site or interfere with any other party's use and enjoyment of the TriangleAptAssn.org site. You may not obtain, use or access, or attempt to obtain, use or access, any materials or information through any means not intentionally made publicly available or provided for through the TriangleAptAssn.org site. If You Participate as an Advertiser, You are solely responsible for all advertising content You transmit or submit to TriangleAptAssn.org or through the TriangleAptAssn.org Advertiser Program, whether created by or for You, including but not limited to: (i) artwork, written content, images, photos, graphics, music, animation, data, text, information, URLs, hypertext links, scripts and the content and material included in such components; and (ii) websites and content proximately reachable from such advertising content (collectively, "Ads"). Prior to providing any Ads and Participating as a Advertiser, You may be required to read and accept additional written terms and conditions governing Your submission of Ads to TriangleAptAssn.org (the "Advertiser Agreement"). TriangleAptAssn.org disclaims all liability relating to Your Ads and You agree to indemnify TriangleAptAssn.org for all loses TriangleAptAssn.org incurs associated with the Ads. By submitting Content for advertising to any public area of any TriangleAptAssn.org Site, You automatically grant to TriangleAptAssn.org and its affiliates an irrevocable, royalty-free, perpetual, fully paid non-exclusive right (including moral rights) and worldwide license to use, copy, reproduce, modify, adapt, publish, translate, communicate to the public, perform, display, and distribute such Content (in whole or in part) and to prepare derivative works of, or incorporate into other works (in any form, media or technology now known or later developed, for the full term of any rights that may exist in such content) such Content, and to grant and authorize sublicenses thereof (through multiple tiers). TriangleAptAssn.org does not represent or guarantee the truthfulness, accuracy, or reliability of Advertiser Content. TriangleAptAssn.org acts as a venue for on-line association management services portal and guide. TriangleAptAssn.org may take any action with respect to Content that it deems necessary or appropriate in its sole discretion if it believes that such Content could create liability for TriangleAptAssn.org, damage TriangleAptAssn.org's brand or public image, or cause TriangleAptAssn.org to lose (in whole or in part) the services of its ISPs or other suppliers. While TriangleAptAssn.org reserves the right in its sole discretion to remove Content or other material from TriangleAptAssn.org from time to time, TriangleAptAssn.org does not assume any obligation to do so and disclaims any liability for failing to take any such action. The TriangleAptAssn.org Sites and the TriangleAptAssn.org Content may contain inaccuracies or typographical errors. TriangleAptAssn.org makes no representations about the accuracy, reliability, completeness, or timeliness of any TriangleAptAssn.org Content. The use of all TriangleAptAssn.org Content is at your own risk. Changes are periodically made to TriangleAptAssn.org Sites and may be made at any time. TriangleAptAssn.org cannot guarantee and does not promise any specific results from use of TriangleAptAssn.org or any TriangleAptAssn.org Site. No advice or information, whether oral or written, obtained by You from TriangleAptAssn.org or through or from TriangleAptAssn.org or any other TriangleAptAssn.org Site shall create any warranty not expressly stated herein. THE SITE, INCLUDING, WITHOUT LIMITATION, ALL SERVICES, CONTENT, FUNCTIONS AND MATERIALS, IS PROVIDED "AS IS," "AS AVAILABLE," WITHOUT WARRANTY OF ANY KIND, WHETHER EXPRESS OR IMPLIED BY STATUTE, COMMON LAW OR OTHERWISE, FOR INFORMATION, DATA, DATA PROCESSING SERVICES, UPTIME OR UNINTERRUPTED ACCESS, ANY WARRANTIES CONCERNING THE AVAILABILITY, ACCURACY, USEFULNESS, OR CONTENT OF INFORMATION, ANY WARRANTIES OF TITLE, NON-INFRINGEMENT, MERCHANTABILITY OR FITNESS FOR A PARTICULAR PURPOSE, AND ANY IMPLIED WARRANTY ARISING FROM COURSE OF DEALING OR USAGE OF TRADE, AND WE HEREBY DISCLAIM ANY AND ALL SUCH WARRANTIES, EXPRESS AND IMPLIED. WE DO NOT WARRANT, REPRESENT OR COVENANT THAT THE WEB SITE OR THE SERVICES, CONTENT, FUNCTIONS OR MATERIALS CONTAINED THEREIN WILL BE TIMELY, SECURE, UNINTERRUPTED OR ERROR FREE, OR THAT DEFECTS WILL BE CORRECTED. WE MAKE NO WARRANTY THAT THE WEB SITE WILL MEET USERS' REQUIREMENTS. NO ADVICE, RESULTS OR INFORMATION, WHETHER ORAL OR WRITTEN, OBTAINED BY YOU FROM US OR THROUGH THE SITE SHALL CREATE ANY WARRANTY NOT EXPRESSLY MADE HEREIN. TriangleAptAssn.org ALSO ASSUMES NO RESPONSIBILITY, AND SHALL NOT BE LIABLE FOR, ANY DAMAGES TO, OR VIRUSES THAT MAY INFECT, YOUR COMPUTER EQUIPMENT OR OTHER PROPERTY ON ACCOUNT OF YOUR ACCESS TO, USE OF, OR BROWSING IN THE SITE OR YOUR DOWNLOADING OF ANY MATERIALS, DATA, TEXT, IMAGES, VIDEO, AUDIO OR SOFTWARE FROM THE SITE. IF YOU ARE DISSATISFIED WITH THE SITE, YOUR SOLE REMEDY IS TO DISCONTINUE USING THE SITE. IN NO EVENT SHALL TriangleAptAssn.org, ITS AFFILIATES OR ANY OF THEIR DIRECTORS, OFFICERS, EMPLOYEES, AGENTS OR CONTENT OR SERVICE PROVIDERS (COLLECTIVELY, THE "PROTECTED ENTITIES") BE LIABLE, WHETHER IN AN ACTION BASED ON A CONTRACT INDEMNIFICATION, OBLIGATION, TORT (INCLUDING WITHOUT LIMITATION NEGLIGENCE), COLLATERALLY OR ARISING FROM ANY STATUTORY DUTY, PRE-CONTRACT OR OTHER REPRESENTATIONS, OR OTHERWISE, HOWEVER ARISING, FOR ANY ECONOMIC LOSSES (INCLUDING, WITHOUT LIMITATION, LOSS OF REVENUES, PROFITS, CONTRACTS, BUSINESS, GOODWILL OR ANTICIPATED SAVINGS) OR ANY DIRECT, INDIRECT, SPECIAL, INCIDENTAL, CONSEQUENTIAL, EXEMPLARY OR PUNITIVE DAMAGES ARISING FROM, OR DIRECTLY OR INDIRECTLY RELATED TO, THE USE OF, OR THE INABILITY TO USE, THE SITE OR THE CONTENT, MATERIALS AND FUNCTIONS RELATED THERETO, YOUR PROVISION OF INFORMATION VIA THE WEB SITE, LOST BUSINESS OR LOST SALES, EVEN IF SUCH PROTECTED ENTITY HAS BEEN ADVISED OF THE POSSIBILITY OF SUCH DAMAGES. We do not represent that materials on the TriangleAptAssn.org site are appropriate for use in all locations. Persons who choose to access the TriangleAptAssn.org site do so on their own initiative, and are responsible for compliance with local laws, if and to the extent local laws are applicable. TriangleAptAssn.org and certain other TriangleAptAssn.org Sites contain links to third party Web sites and content. These links are provided solely as a convenience to You and not as an endorsement by TriangleAptAssn.org of the contents on such third-party Web sites. TriangleAptAssn.org is not responsible for the content of linked third-party sites and does not make any representations regarding the content or accuracy of materials on such third party Web sites. If You decide to access linked third-party Web sites, You do so at your own risk. TriangleAptAssn.org and certain other TriangleAptAssn.org Sites contain links to social media sites, including but not limited to testimonials. These links are provided solely as a convenience to You and not as an endorsement by TriangleAptAssn.org of the content on such social media sites. TriangleAptAssn.org is not responsible for the content, accuracy of such content, or manner in which such content is provided to these third party social media sites. You specifically agree that the use of these social media sites in conjunction with TriangleAptAssn.org is at your own risk. You agree to defend, indemnify, and hold harmless TriangleAptAssn.org, its affiliates, and their respective officers, directors, employees and agents, from and against any claims, actions or demands, including without limitation reasonable legal and accounting fees, alleging or resulting from (i) any Content or other material You provide to any TriangleAptAssn.org Site, or (ii) your breach of the terms of these Terms. TriangleAptAssn.org shall provide notice to You promptly of any such claim, suit, or proceeding. The Terms of Service and the relationship between you and us shall be governed by the laws of the State of North Carolina, without regard to its conflict of law provisions. You agree that any cause of action that may arise under the Terms of Service shall be commenced and be heard in the appropriate court in the State of North Carolina, Wake County. You agree to submit to the personal and exclusive jurisdiction of the courts located within Wake County in the State of North Carolina. Our failure to exercise or enforce any right or provision of the Terms of Service shall not constitute a waiver of such right or provision. Any waiver of any provision of these Terms of Service by TriangleAptAssn.org must be made in writing and signed by an authorized representative of TriangleAptAssn.org specifically referencing these Terms of Service and the provision to be waived. Headings used in these Terms of Service are for convenience only and are not to be relied upon. If any provision of the Terms of Service is found by a court of competent jurisdiction to be invalid, the parties nevertheless agree that the court should endeavor to give effect to the parties' intentions as reflected in the provision, and the other provisions of the Terms of Service remain in full force and effect. These Terms of Service will inure to the benefit of, and are intended to be enforceable by, TriangleAptAssn.org's successors, assigns and licensees. If any dispute arises between You, another Advertiser and/or TriangleAptAssn.org or any combination thereof, as it relates to TriangleAptAssn.org and this Agreement, such dispute shall be submitted and settled in accordance with the Rules of the American Arbitration Association, in Wake County North Carolina and the decision of a single English speaking arbitrator shall be final and binding. These Terms constitute a binding agreement between You and TriangleAptAssn.org, and is accepted by You upon your use of the TriangleAptAssn.org Site.